Head of Keyboard Area and Assistant Professor of Piano, teaching Applied Piano to majors/minors, aural skills and music appreciation. Areas of professional interest include piano, pedagogy, collaborative piano, aural skills and music appreciation. 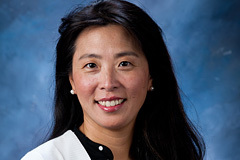 Dr. Lee specializes in all areas related to the field including collaborative piano and pedagogy. New York debut in Carnegie Recital Hall (aka Weill Recital Hall) as winner of the 1995 Artist International Award. All-Brahms recital with David Kim, concertmaster of the Philadelphia Orchestra. Moscow Nights, a first-time collaboration between the Music department and the Russian language department at the University of Delaware. Soloist and Chamber Performer: Italy, France, Austria, Belgium, Brazil, Poland, Russia, Azerbaijan, Turkmenistan, Estonia, Byelorussia, Thailand, Hong Kong, and major cities throughout the United States. A nationally televised broadcast in Tchaikovsky Hall in Moscow, Russia. An exclusive recital in the Hermitage Theater at the Winter Palace, St. Petersburg, Russia. Special appearance on the Millenium Stage at the Kennedy Center in Washington DC. Numerous appearances in Lincoln Center and Steinway Hall in New York City.